This recipe came as a last minute (delicious) detour. I had 3 VERY speckled bananas all gearing up to become banana ice cream. However, I must have missed their prime ice cream stage by a day or so, as these were overly ripe. Almost to the point of pure mush. 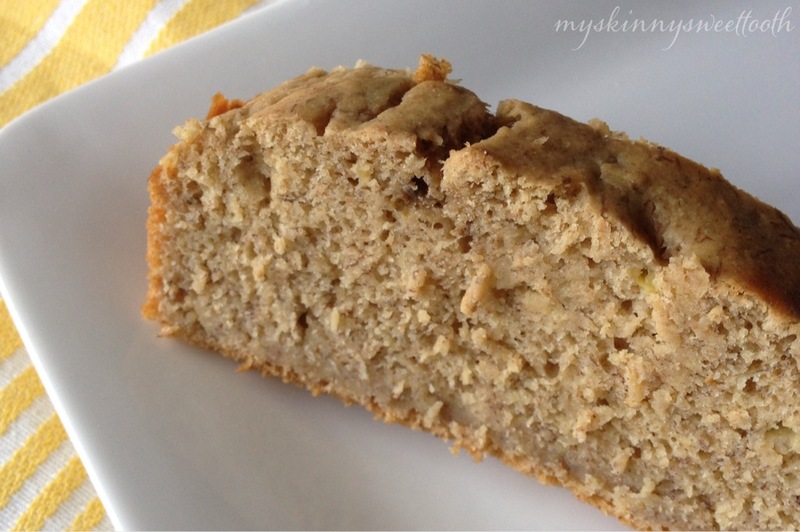 So, I do the next best thing and jump online to find a healthy banana bread. It wasn’t as easy as it may sound because most had a ton of ingredients or too many eggs to my liking, too much butter (a whole stick! ), and things I found unnecessary. I know basic bread measurements and have decent knowledge of ingredient swapping. Therefore, I put those two skills to work and came up with a banana bread that’s simple and doesn’t lack the comforting banana bread flavor everyone is fond of. Good news? There’s no butter, oil, or added sugar. Bad news? I want to make this ALL the time. Since this is a great base recipe for banana bread, we can move on to more complex flavors: chocolate chip, blueberry, toffee & butterscotch, etc. But for now, basic is beautiful. ⋅In a medium sized bowl, combine mashed banana, egg whites, vanilla extract, and greek yogurt. ⋅In another bowl, stir together both flours, baking powder, baking soda & cinnamon. ⋅Incorporate the dry ingredients into the wet and mix until just combined. 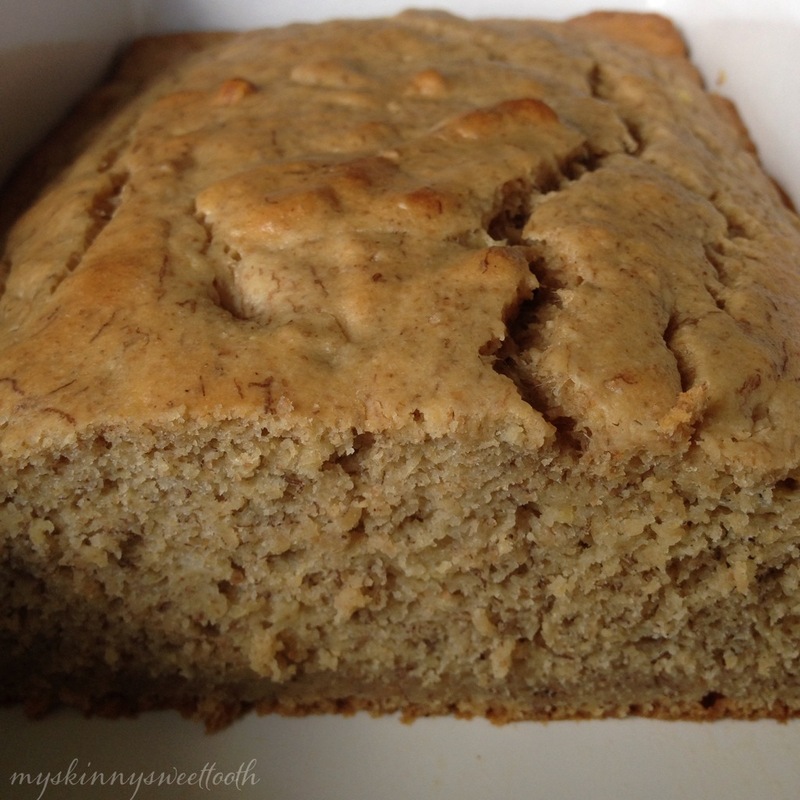 ⋅In a sprayed loaf pan, pour in mixture and bake for 40min or until toothpick comes out clean. Let cool and serve. 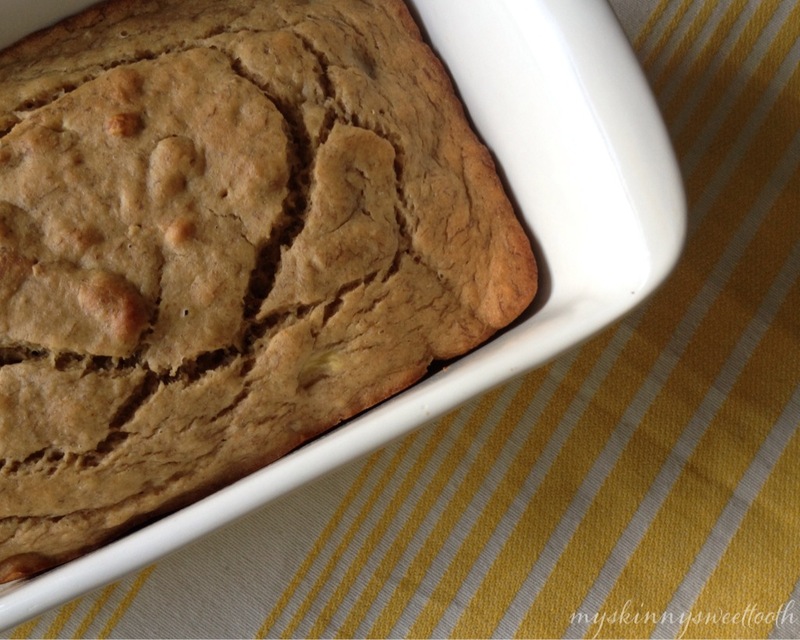 This banana bread makes a great french toast base (Who am I kidding? 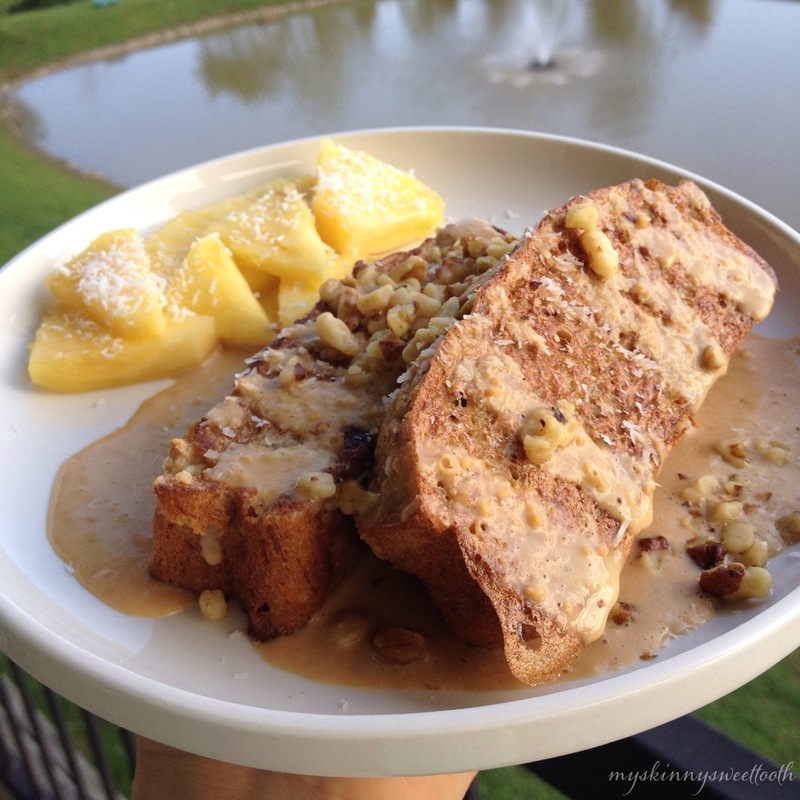 Any banana bread would work great as french toast 😉 ) Top with peanut butter syrup, sliced bananas and chopped walnuts. Perfection! Another way I enjoy this bread is so easy and delicious: warm a slice in the microwave for :20. Then top with 1t coconut oil (4pp total). Love! 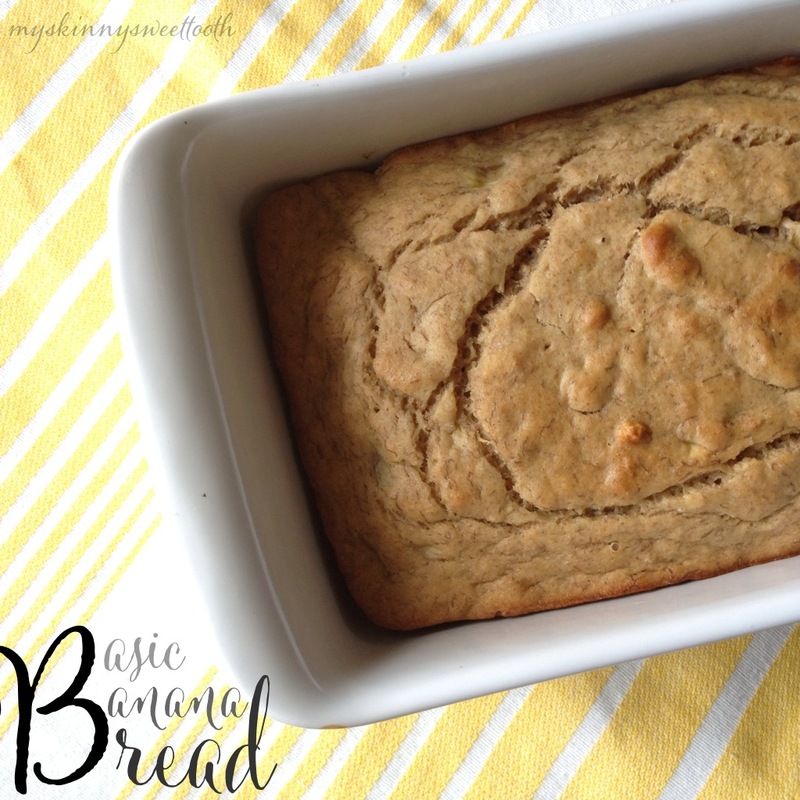 Don’t you just love using up over ripe bananas in bread other than throwing them away? So awesome! The bread looks good! yum it looks so moist and delicious! Hi! 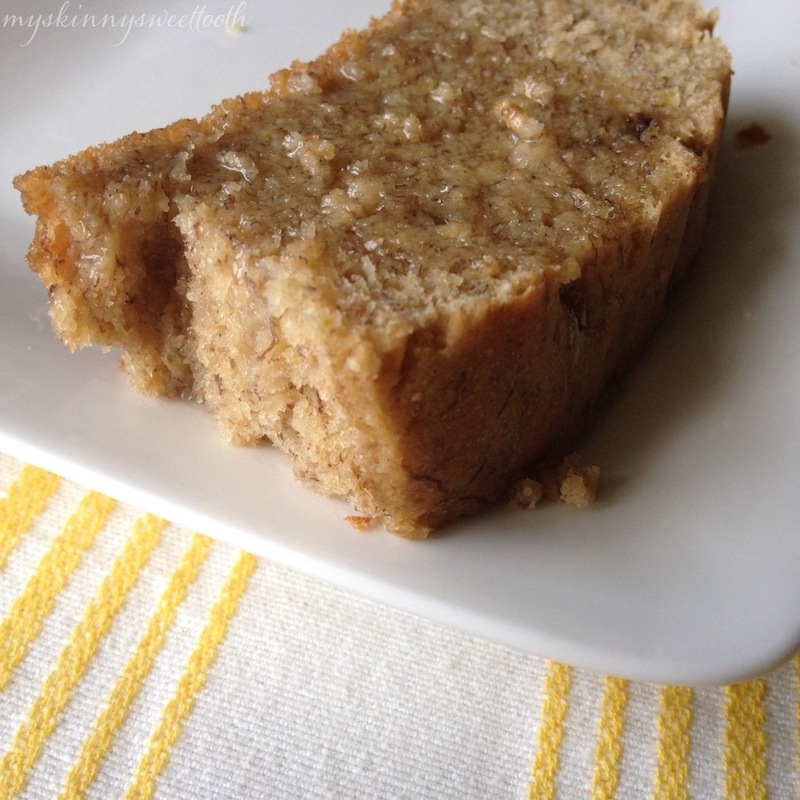 This recipe sounds awesome I have 3 bananas I’m waiting to be super ripe so I can make it! One question – is there a substitute for spelt four? 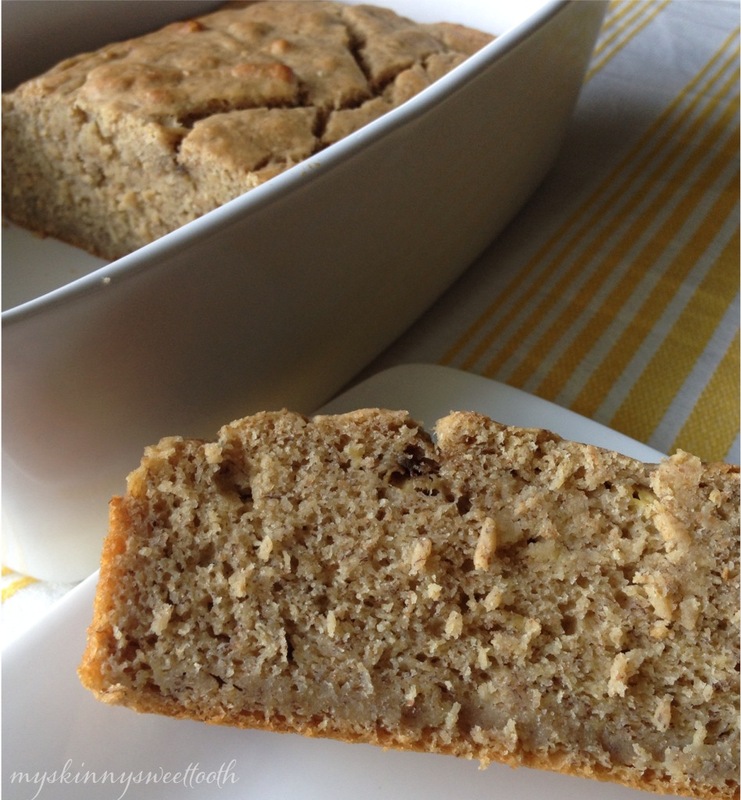 Could I use just more whole wheat flour?